The Wyoming Space Grant Consortium, as part of the national Space Grant Program, is offering Graduate Fellowships. These fellowships are awarded to students performing independent research as part of an M.S. 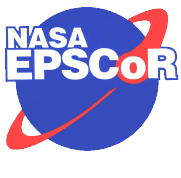 or Ph.D. program who submit outstanding research proposals along the lines of National Space Grant Goals and Objectives and related to NASA‘s mission goals. Women and students from underrepresented groups are encouraged to apply. Student should be enrolled and in good standing at the University of Wyoming. Faculty supervisor must have active status and/or plan to be on-site and readily available to the student. Students must be U.S. Citizens. Graduate fellowships are for an academic year stipend of $13,500 (MS) or $18,000 (PhD). If requested, an additional $1,500 (MS) or $2,000 (PhD) will be provided for one month of summer stipend. The total requested amount cannot exceed $15,000 (MS) or $20,000 (PhD). Tuition, fees, and health insurance will be automatically covered for fellowship recipients. Funding is to be used for GA stipend. However, if you have other expenses related to the project that you would like to fund through Space Grant you can decrease your requested stipend and add in those expenses to your budget. It is expected that the award will commence at the beginning of the fall semester. Graduate fellowships are for one year only. Students can only receive a graduate fellowship once during their academic career at UW. You should receive an e-mail confirming receipt of your application within two business days, if you do not receive this confirmation please contact our office. View the Reviewer Grade Sheet. Research must be of a nationally competitive nature and have scientific merit. Proposals must be well written and aimed at a general audience. Potential that the recipient will develop a successful research program that results in refereed publications is desired. Proposals that cannot be fully funded from other sources are given priority. Proposals which include non-federal matching funds that can be documented are given priority. Fellowship recipients are expected to keep WSGC informed of their progress with monthly updates. A written FINAL REPORT is required and must be submitted in a timely manner following the completion of the fellowship period. The student awardee should participate in publication of any research results. WSGC must be informed of any publications resulting from our funding. The student should plan on giving a public presentation on their fellowship project. Participation in professional scientific meetings are strongly encouraged. Students must participate in a minimum of 5 hours of public science outreach activities during the fellowship year. This can include activities like: Science Fair Judging, volunteering for Women in Science, mentoring students, helping with summer science camps, etc. 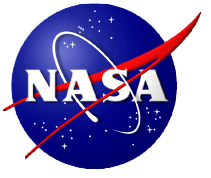 NASA Mission: Drive advances in science, technology, aeronautics, and space exploration to enhance knowledge, education, innovation, economic vitality, and stewardship of Earth.